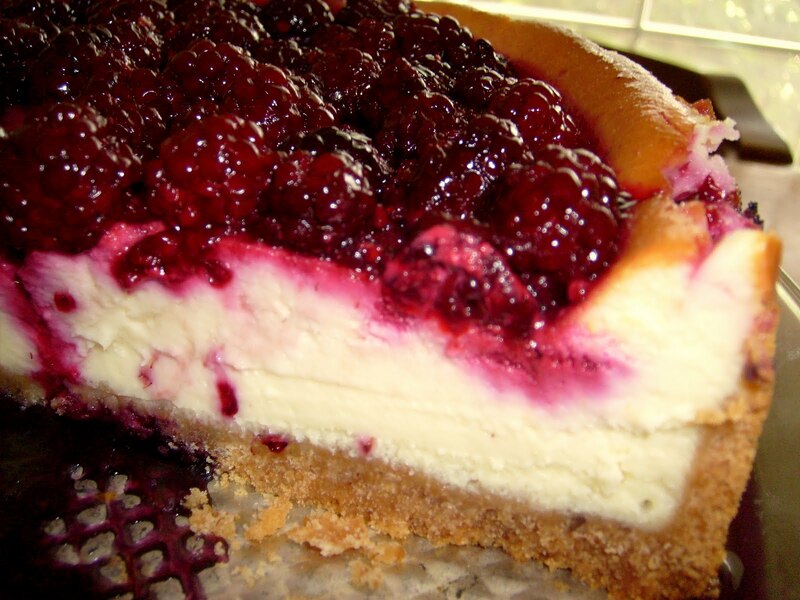 There are just no words for how wonderful this cheesecake tastes. The only thing I can say is that it is just so good that it was almost half gone before I even thought to take pictures of it!! You must make it! Place vanilla wafers and pecans into the bowl of a food processor. Pulse until mixture becomes crumbs. Add melted butter and vanilla and pulse again until combined. Pour into a 10-inch springform pan and press crumbs into the bottom of the pan. For the filling, beat cream cheese and sugar until smooth. Add eggs one at a time, beating after each addition. Add sour cream and mix again. 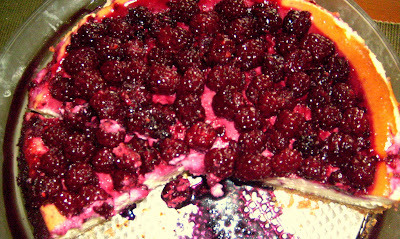 Pour mixture into crust, smooth the top, and bake for 1 hour, 10 minutes. Turn off oven and open door and allow to sit in the oven with the door opened for 15 minutes. Remove and allow to cool. For the topping, add blackberries, sugar, and water to a saucepan or skillet. Bring to a boil over medium-high heat and cook for 4 to 5 minutes. Turn off the heat and allow to cool slightly. 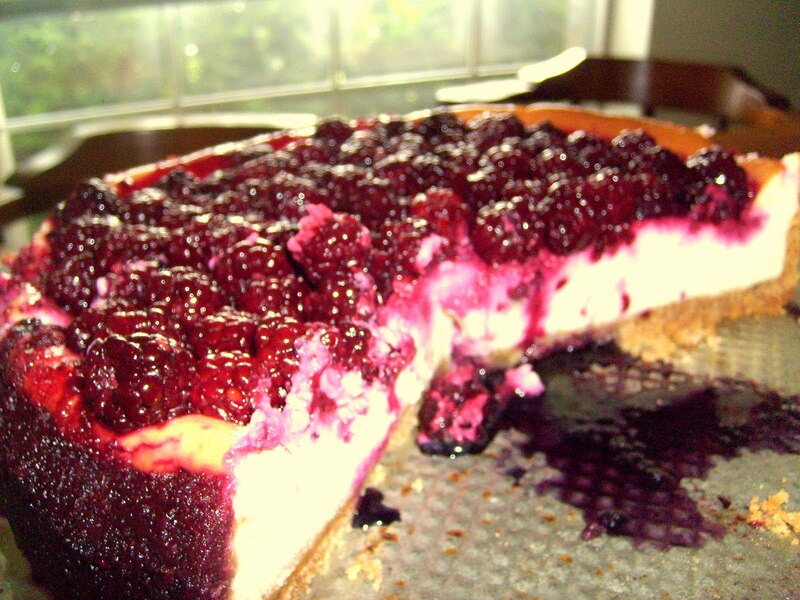 Pour blackberries over the cheesecake and place pan into the fridge to cool and set for at least 2 hours. The more setting time the better! !